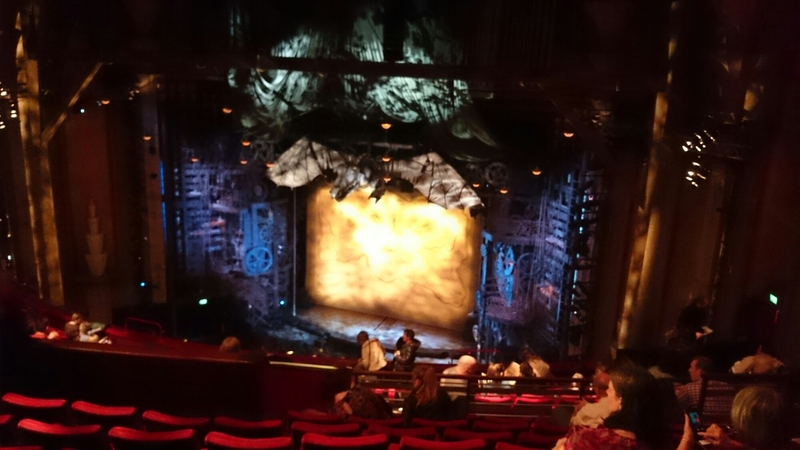 A couple of weeks ago I took my wife off to see the musical ‘Wicked’ at the Apollo Victoria in London. We always seem to go up to London when their is a rugby game at Twickenham. This trip was no exception, England against New Zealand. Despite it taking 45 minutes to do the last 2 miles past the stadium we made it toothed theatre with 45 minutes to spare. As usual, the pre-show drinks were at tourist prices(I have never paid £14 before in my life for just 2 drinks.. Even small bottles of water were £2.50). This was view we had. 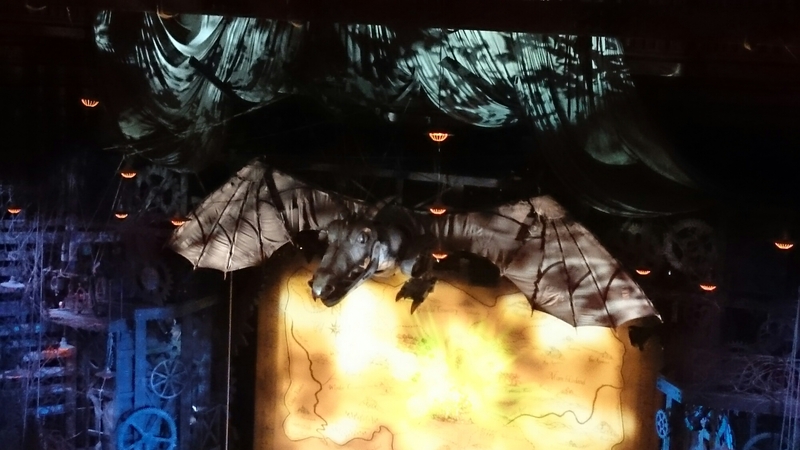 A great stage set with a dragon overhead. Here’s a slightly better one of the dragon.. Although it’s not the type of show I would normally watch, it was very good. Great costumes, a good cast and funny in places. Without any spoilers, it’s the story of the good witch and the evil witch immediately before Dorothy arrives on Oz. 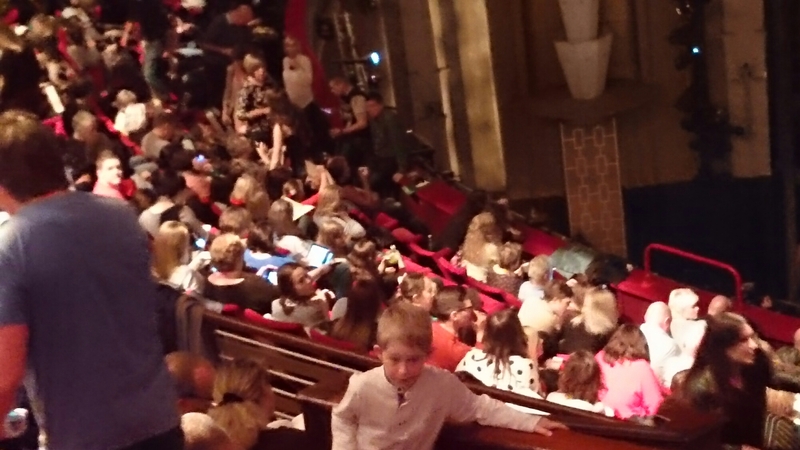 One thing I have to comment on.. At the interval it was really noticeable how many people were using ipads and smartphones… See below.